You dread budgets? They are key to your franchise success. Every start-up business professional cringes at the thought of staring at a blank excel spreadsheet and creating a budget. However, a budget is essential to meeting your financial forecasts and running a successful franchise. Basically, a budget is a compilation of all of your revenue and expenses and it typically covers one year, on a monthly basis. 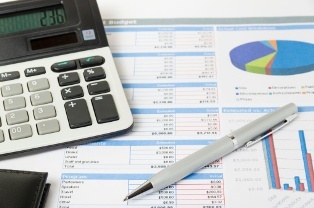 Budgeting enables you to confirm your ability to purchase a franchise operation. It helps you to secure the financing you need to get started. And a budget also assists you in managing cash flow and building profitability. This is one valuable planning tool. The first step toward putting together your budget is to determine what it will cost to open your franchise. The most common cause of business failure is undercapitalization. Too many owners assume they can “get by” on too little money. As a guideline, you should budget for start-up expenses — plus a minimum of four months of operations. You’ll need to factor in the following components when developing your budget. Purchase price of the franchise: You may be fortunate and find a franchisor that will accept a down payment of part of the purchase price with the rest paid in installments over a number of years. Most franchisors, however, will expect fees to be paid up front. Pre-opening expenses: These costs include legal and financial consulting fees; possibly travel expenses to visit the franchisor and other franchisees, leasehold improvements, deposits for rent, telephone and equipment, and training expenses. Funds to operate the business for four to six months: Even when the franchise opens, it will take some time to generate enough cash to cover all of your operating expenses, so you need to have a reserve on hand. This would be your monthly overhead for four to six months. Overhead includes royalties and consulting fees payable to the franchisor, rent, insurance, equipment, furnishings, computers/cash registers, inventory, legal and accounting fees, advertising and marketing expenses, license and permit fees, remodeling and leasehold improvements, utilities, payroll, office and administrative expenses and the costs to service loans and leases. Personal expenses for four to six months: Of course, you’ll also need to set aside enough money for you and your family to live on until your business starts generating cash. Don’t dismiss the idea of buying your top franchise choice because you don’t have the cash. Many established franchisors offer various types of financing support – from assistance with assembling a financing package to present to prospective lenders, to offering a short list of potential lenders, and even to extending special financing arrangements. We recommend finding a template to calculate your first year of opening and operating your new franchise. There are various free on-line resources for you to review. Insert below in your browser and you will find excellent budget forms. For profitability in your franchise keep your expenses down, your revenue up and your budget on track. With this formula your new business will soar!